NF (5868) - As expected, it took support at lower level and in upside surpass the first target also. ORCHIDCHEM (292) - No need to explain, if you see the yesterday post. . It behaved exactly as posted, from 259 to 290 and made a high of 295 that to in a single day. Now what next ? today it may/may not take rest. But support 285 and next attack 315 and trade above 320 upmove continue to 344. OPTOCIRCUI (241) - As posted on 06th Jan. below 250, exactly it came down and attacked the mentioned level of 229 and from there it bounced back also. Now above 242 last hurdle 250 and above that upmove continue to 273. 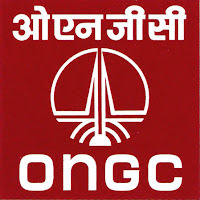 ONGC ( 1187) - Yesterday bottomed out. now trade above 1180 last hurdle 1211 but trade above this upmove to 1295-1300 & 1350. JSWSTEEL (996) - As posted on 11th Jan. it exactly took support at 930 and already moved and made a high of 999 also. and now marching towards 1070 and afterwards 1155-1170. 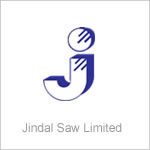 JINDALSAW (217) - Above 216, upmove to 228-230. But 2consecutive close above 230, warrented to attack in upside 270-275. IDBI (152) - On 11th jan posted here. below 144 only, fall continue. whereas it took support at 144 and from there it moving up. now above 152, upmove continue to 162 & 168. GAIL (509) - Posted on 07th Jan. Topped out 537 and expect downside target 496. Day before yesterday it exactly attacked the mentioned target of 496 and from there now it moving up. So now 496 is the support and trade above 512 go up to 529 and 540.